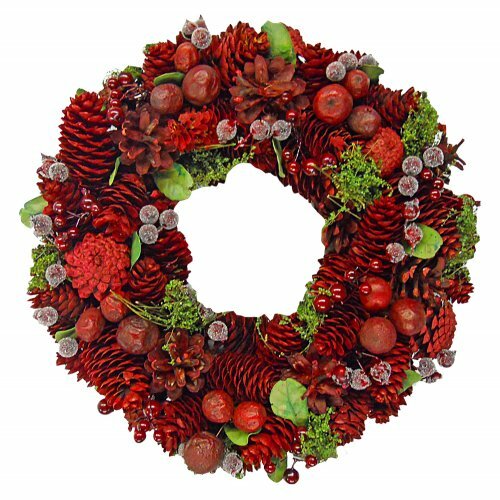 Now you can bring the beauty of the outdoors, indoors, using this gorgeous holiday wreath. This decorative wreath measures at 12.5" in diameter and is ready to hang. Great for the winter months and holiday seasons. Has realistic pine cones, berries, twigs, brush and more, all in a rich, and warm, dark red!